Hyderabad is increasingly becoming prominent as a popular residential hub in India, thanks to the multiplicity of infrastructural developments that have taken place in the area in recent times. Especially, Kavadiguda has been in the spotlight for investors in the last few years, and the sale of the property has shown an upward trend during this period. 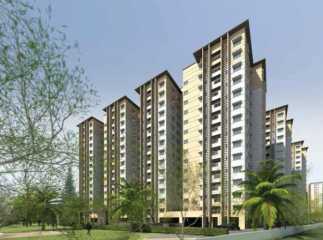 The property in Kavadiguda, Hyderabad is known for elegant apartments and intelligent floor planning. The residential estates come with all the amenities that you crave to live a luxurious lifestyle. Hyderabad has been an important commercial zone of the country over the years. It is also emerging as an IT hub, following Bangalore. With tremendous employment opportunities, the city attracts investors from various states of the country. Demand for property in Hyderabad is rising, primarily due to the sophisticated infrastructure in the region. The security facilities, roadways, and transportation facilities have been upgraded in the area. A number of residential complexes have been thrown open to the buyers, with more to come up in the next few months. Hundreds of families have the opportunity to enjoy the classy lifestyle Hyderabad is known for. With a sound social infrastructure, you will enjoy easy access to all the amenities and places of entertainment in the surrounding areas. The commuters will get easy transportation facilities thanks to the Telangana State Road Transport Corporation (TSRTC). You can avail buses as well as private transportation facilities to reach the commercial areas. A number of educational institutes and healthcare organizations are located close to Kavadiguda. You can get fast connectivity to the University of Hyderabad. Besides, the other educational institutes in the area include St. Pauls High School, Queens High School, Mount Litera Zee School, Hyderabad Special School for Mentally Retarded Children, Oxford Grammar School and Howard Public School. The important hospitals in the area include Kim's Hospital, Guru Nanak Care Hospitals, Clear Vision Eye Hospital, Apollo Hospitals, Bristlecone Hospitals, and much more. When you move to one of the upcoming residential estates in Kavadiguda, you can enjoy the 2, 3 and 4 BHK apartments that come with elegant finishes and chic interiors. These are customized for high-end buyers as well as mid-range groups. People interested in a green living will find their ideal home in Kavadiguda. The large open spaces and green covers will mesmerize your eyes. Enjoy the pleasant afternoons sitting in the wide balconies or beside large windows in your apartments. You will love the green cover around, while you live in the midst of all necessary amenities of city life. The residential complexes come with a large range of entertainment and health facilities. You can enjoy your mornings, having a splash in the swimming pool or flexing your muscles at the gym. The complexes offer dedicated play areas for children, along with various indoor and outdoor sports facilities for elders. For investors willing to buy flats in Hyderabad, this is the best time to invest. The property prices in this region are rising. You can book an apartment in advance and enjoy a classy lifestyle, with elegance and comfort.